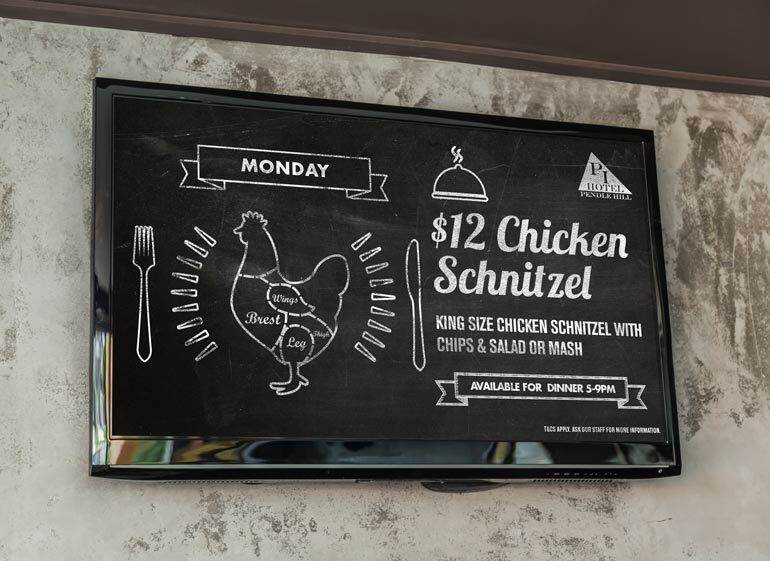 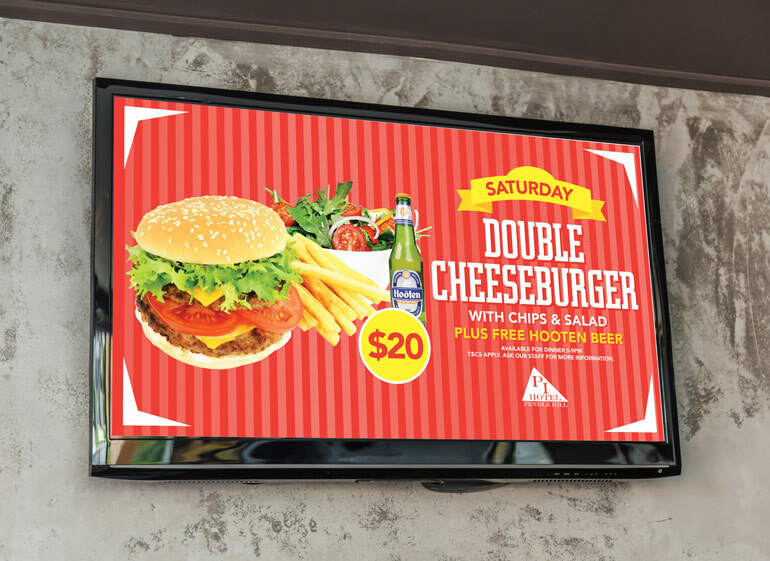 Bar TV advertising for Pendle Inn, a Sydney-based pub. 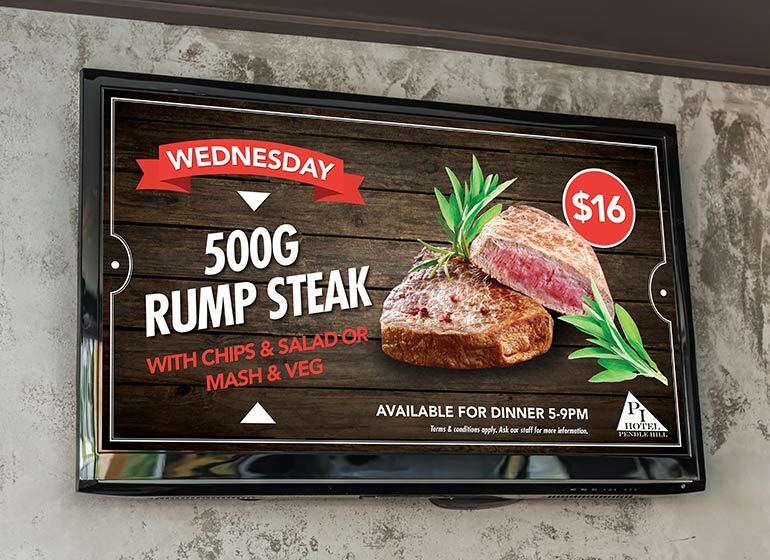 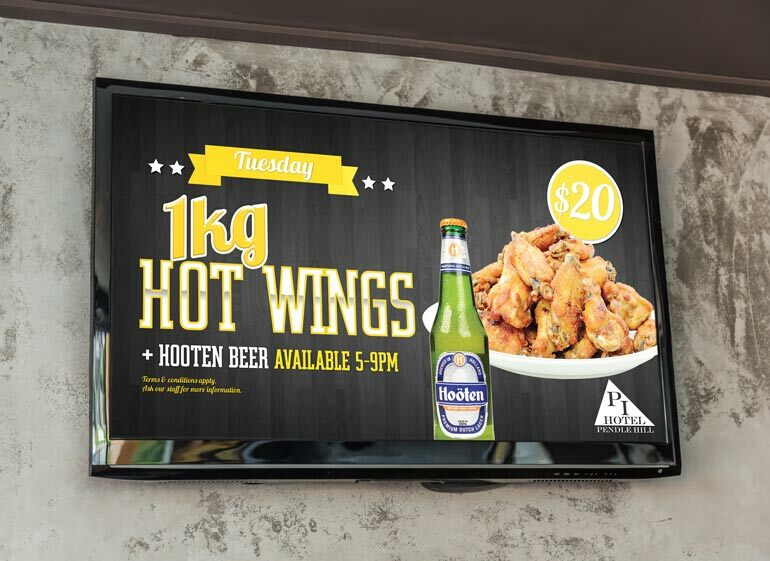 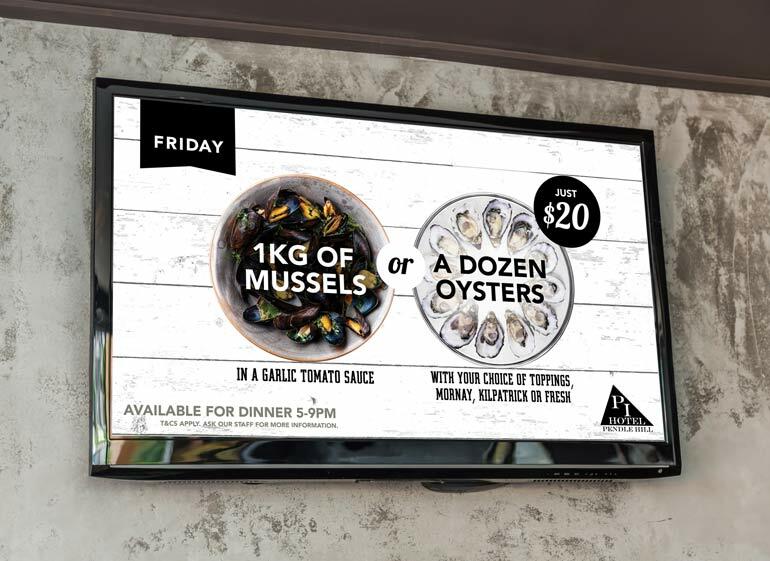 High-impact digital advertising for several specials, these TV screens accompanied their eye-catching poster designs. 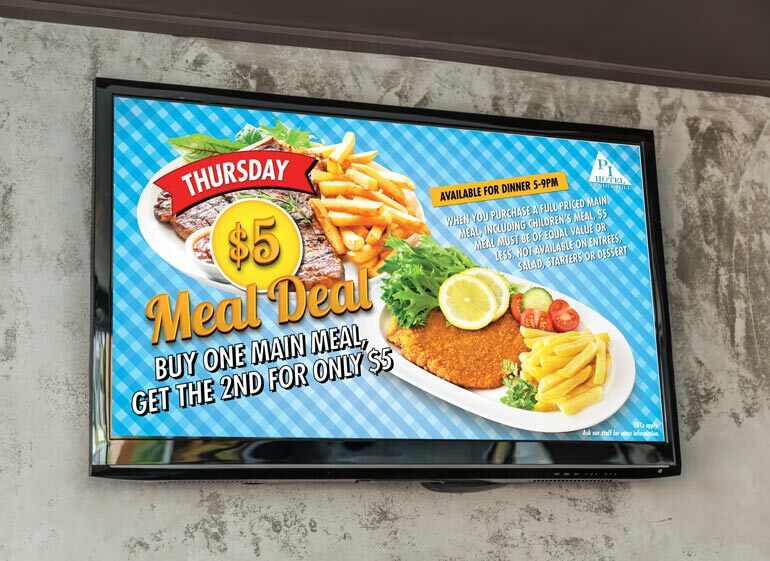 Pendle Inn introduced a new special a day in late 2016/early 2017, including Chicken Schnitzel, 1kg hot wings with beer, 500g rump steak, buy one- get one free- meal deal, seafood specials, pizza and pasta, cheeseburger and beer, along with an overall menu design of the specials. 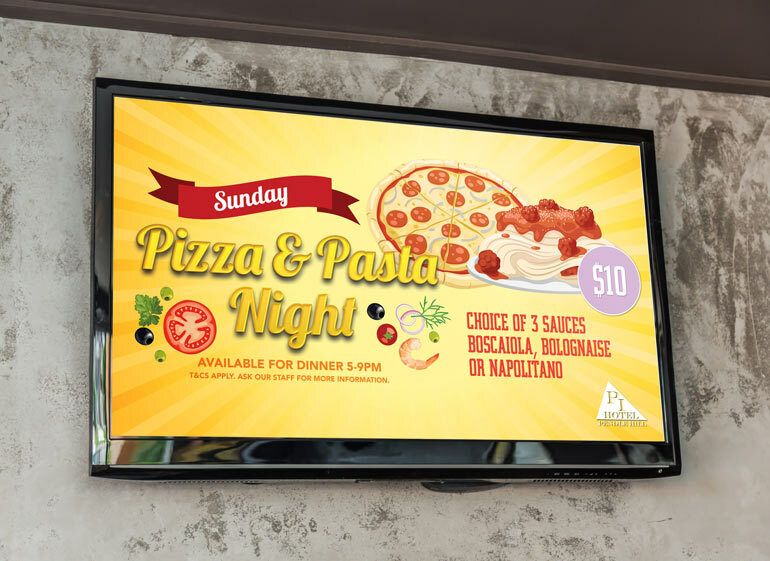 The aim was to achieve bold designs, each with a unique colour palette and linked together through the use of typography. 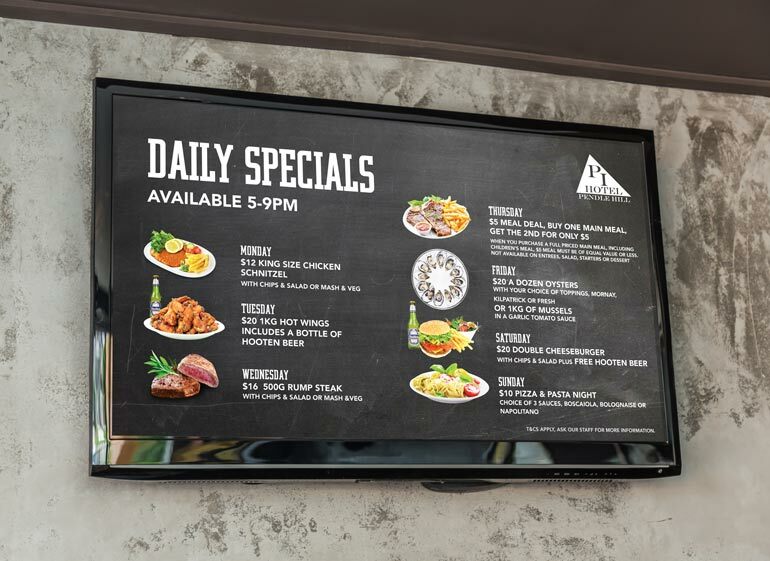 This project included: Digital graphic design, flyer design, specials menu design.